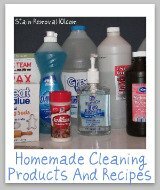 Here is a round up of homemade dishwasher soap recipes you can use to wash dishes in your dishwasher. 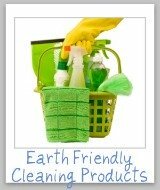 With a need to save money and also for environmental reasons, more and more people are making their own cleaning products. The reasons people have for creating their own dishwasher soap recipes are varied, from saving money or helping the environment, or concerns about their family's health. No matter what your reason for making your own dishwasher detergent though, you want the recipe you use to work. 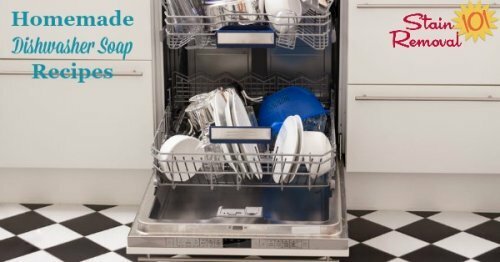 There have been some complaints about homemade dishwasher detergent leaving behind a residue, or not cleaning the dishes as well as commercial versions. However, I've also known lots of people who make their own successfully and are very happy with it. Please share your successful recipes for how to make your own dishwasher soap below. No recipe of your own? That is OK. 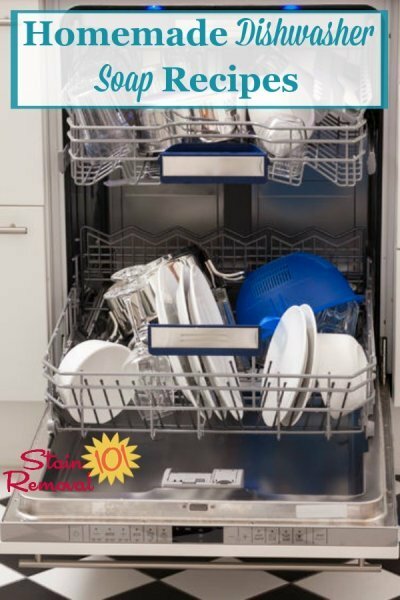 Here is Stain-Removal-101.com's suggested recipes for homemade dishwasher detergent. You can tell me how these worked for you below. 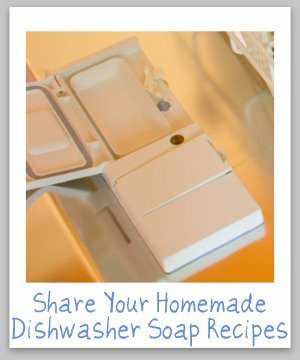 Do You Have A Homemade Dishwasher Soap Recipe To Share? 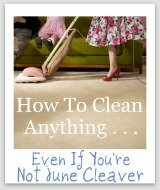 There are lots of recipes for homemade dishwasher soap floating around out there, especially here on the Internet. Have you used a recipe that worked well for you? If so, please share the recipe and instructions with us here. 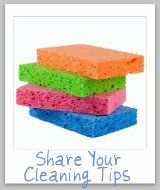 In addition, if you have tried to make your own dishwasher detergent and the recipe you used didn't work as well as you would like it, you can also tell us about that, so we can steer clear of these recipes.